Payment history has the single largest impact on credit score so you want to make sure you are paying your bills on time. In fact, scheduling your payments to pay on the due date might negatively affect your credit rating. For example, if a due date falls on a weekend or a holiday, your payment might not be processed by your bank until the next business day and could result in credit card late fees and a ding to your credit rating. To avoid damaging your credit rating simply schedule bill payments for at least several days before the due date. Better yet, pay your bill as early as possible to avoid racking up additional interest charges. 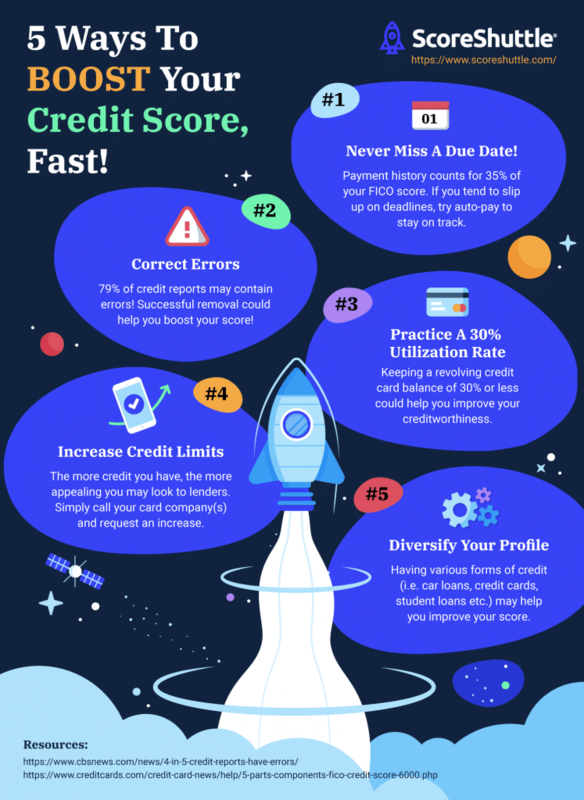 Approximately 79% of credit reports contain errors of one kind or another and fixing those errors can give a boost to your credit score. Common errors include inaccurate billing information reported to credit bureaus. Medical billing agencies are some of the worst offenders when it comes to billing errors and correcting these mistakes can be challenging. To make things worse, when debt is sold to a third-party debt collector, errors may never be fully accounted for even when the debt has been settled. Using a technology like ScoreShuttle can help identify issues on your credit report and generate a personalized plan of action for improving your credit score fast. Before contacting your credit bureau, gather as much documentation as possible with contact information, dates, etc. to bolster your case for a resolution. Credit utilization, the amount of the total credit limit you use, has a major impact on your credit score. There is much discussion around what a good credit utilization ratio should be and 30% is widely accepted as the maximum value. 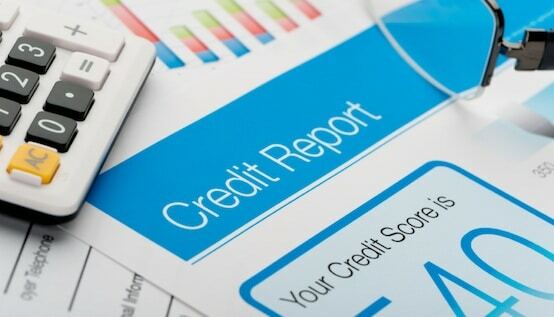 Being on either side of a 30% credit utilization isn't going to blow up your score however keeping it significantly below it will improve your credit score. Asking for a higher credit limit immediately lowers your credit utilization ratio, assuming your balance doesn't increase. When you call your credit card issuer, ask for an increase without a hard inquiry. A hard credit inquiry can lower your credit score temporarily. Opening a new credit card may sound counter-intuitive but having several types of credit will help improve your credit score. Let's be clear, racking up additional debt on a second credit card when you are struggling to pay off other debt is not going to boost your credit score. And opening too many accounts in a short period of time can be a signal to lenders of financial stress. Stick to no more than 2-3 credit cards and choose cards that have no annual fees and offer generous rewards. Having different kinds of credit, i.e. 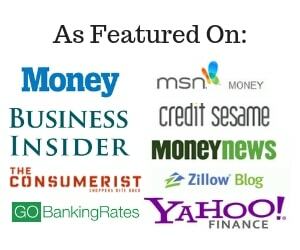 auto loans, mortgage, credit cards, student loans, etc. can boost your credit score. Credit rating agencies like to see consumers that have long histories of on-time payments across a diverse portfolio of credit accounts. Having several different types of credit with on-time payment histories shows that you can manage credit responsibly.